images depicting all of the major classes of cave formation, from the common to one-of-a-kind. it a great educational tool. 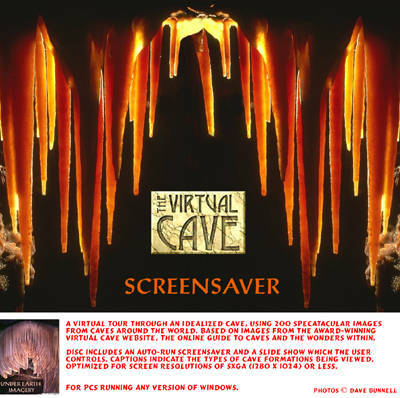 For greater detail on any of the cave formations, consult The Virtual Cave. The base resolution of the images in the show is 1280 x 1024, and it will scale to whatever screen resolution you are running. from one image on to the other, which adds to the surreal beauty of the formations. Keep in mind, this is a very reduced size compared to how the show will play on your monitor, where it will fill your screen.